We’ve worked with many VoIP phone services over the years and have settled on several solutions to bring all the features of a high-end Enterprise-grade phone system to the SMB and residential markets. In July of 2016, we migrated our VoIP service to RingCentral (one of our featured VoIP solutions) and have been astounded at the quality, ease of use and reliability. We liked the service so much we decided to become resellers to help our clients experience the same results. We also partner with Nextiva for the highest value feature rich solutions around. 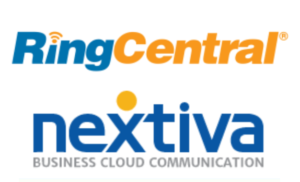 RingCentral and Nextiva are cloud-based phone systems supported and managed by the vendor – they are not a service provided by Midwest PROTECH or any other IT company. When you sign-up for a VoIP service you get your own account that you manage with the vendor directly, as a reseller, our involvement is just to get you setup successfully and support you as a local presence when and if necessary. Our goal is to keep your costs down and eliminate the middle-man wherever possible. We also specialize in hardware-based on-premise VoIP phone systems as well. We can help you determine what solution is best for you or your business. Included fax number (no cost), call log reports, multi-level auto attendant, music on hold and so much more! For VoIP subscription services like RingCentral and Nextiva, there is no hardware to purchase except for desk phones.